LRWC and Lawyers Without Borders Canada (LWBC) have prepared joint submission amicus curiae submissions for consideration by the IACHR in the matter of Members of José Alvéar Restrepo Lawyers’ Collective v. Colombia, Case No. 12.380 (English version | Spanish version). This case is based on allegations that Colombia has failed to prevent and punish serious attacks against members of the José Alvear Restrepo Lawyer’s Collective (Corporación Colectivo de Abogados José Alvear Restrepo – CCAJAR), carried out since 1990. 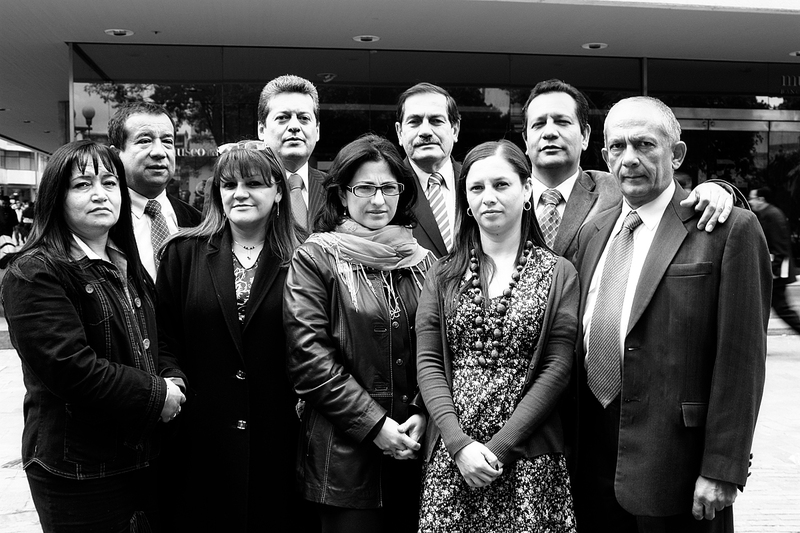 The Inter-American Commission admitted the case in October 2006, exempting the Petitioners from exhausting domestic remedies because Colombia was unable to justify its failure to identify any suspected perpetrators of the attacks on lawyers or the measures taken to investigate and establish the facts. The joint amicus elaborates state duties to prevent and punish attacks and other acts that impair the right and duty to provide legal representation. The amicus examines the scope of Colombia’s responsibility arising from American Convention on Human Rights (Articles 1.1, 4, 5, 8.1, 11, 13, 16, 22 and 25). The amicus identifies the failure to identity and punish perpetrators and the resulting impunity as a major factor restricting access to legal representation for victims of human rights violations. Research and writing of the amicus was done by Heather Neun from LRWC and Vida Amirmokri and Geneviève Binette from LWBC. Editing assistance was provided by Philippe Tremblay, Gaël Pétillon and Gail Davidson.